So the President and CEO of the company that makes Pint Pal asked me if I'd give Pint Pal a try. "Don't hold the cold" - Sounds good to me. Ha, with a little bit of extra tugging, it fits on a cylindrical Talenti container as well. Verdict? Well, it works as advertised, plain and simple. My hand is nice and warm as I devour this pint of ice cream. I know it might look a little small, but it leaves a little space between itself and the potentially messy edge. Even if you do get it messy, you can just throw it in the washer. 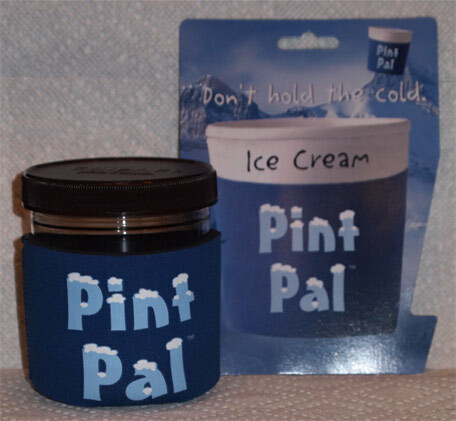 It's nice not having a frozen hand.... though that frozen hand is what keeps me from eating the whole pint sometimes. I don't usually share stuff like this but I know a lot of you guys are pint eaters and I think something like this might really come in handy for you. 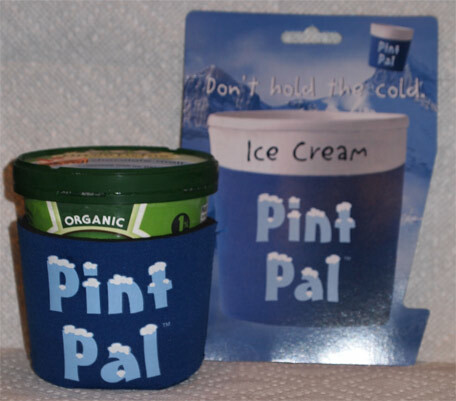 You can pick them up for $3.50 plus shipping and handling from pint-pal.com or you can order them from amazon for just a little more. I was not compensated for this post, I was only sent two review samples to try out.